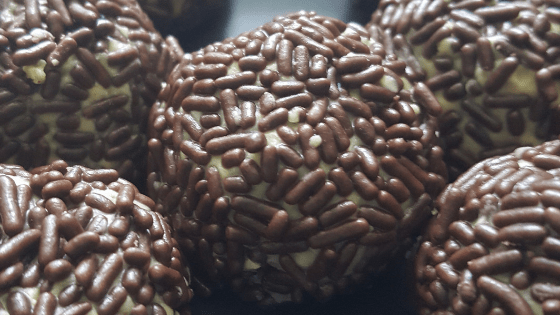 These peanut butter truffles are delicious! My family loves these and they are a hit at get-togethers. Easy to make and they will be ready in no time at all. Will yield 12-15 truffles. Cover cookie sheet with waxed paper and set aside. Microwave vanilla baking wafers on high for 30 to 60 seconds, until melted. Add in whipping cream, frosting, and peanut butter until well blended. Pour sprinkles into a shallow dish. Roll one rounded tablespoon of truffle mixture into ball. Refrigerate for approximately 10 minutes and then serve.